Venkateswara (Veṅkaṭēśvara, (Telugu: వేంకటేశ్వరుడు, Tamil: வெங்கடேஸ்வரர், Kannada: ವೆಂಕಟೇಶ್ವರ, Sanskrit: वेंकटेश्वरः) also known as Śrinivasā, Bālāji, Veṅkaṭā, and Veṅkaṭācalapati, is a form of the Hindu god Vishnu. Venkateswara’s most prominent shrine is the Tirumala Venkateswara Temple located in Tirupathi, Andhra Pradesh in Southern India. The temple is amongst the richest and the most visited holy place in the world. Lord Balaji is also famous as Govinda. Lord Balaji is very kind and helps anyone who prays to Him for help. Lord Balaji at Tirupati has performed numerable miracles. 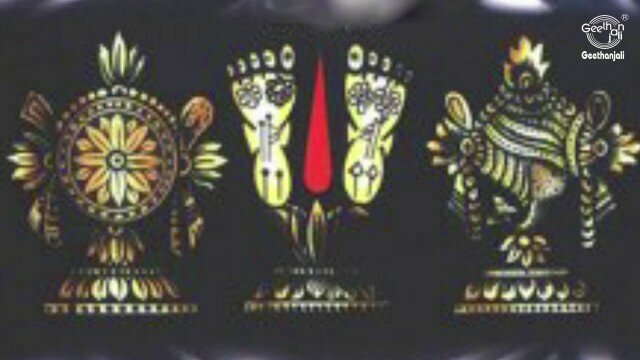 The surroundings of Tirumala awaken waves of bhakti of Lord Balaji and the name Govinda appears on the tongues of devotees. Millions of people visit Lord Balaji at Tirupati every year. The reason being that Lord Balaji is famous as the Lord helps during one’s misfortune.